Home / 2100 / any-maze / Ethovision / morris water maze / software / video tracking / webcam / Screenshots of the new Morris Water Maze Software. Screenshots of the new Morris Water Maze Software. 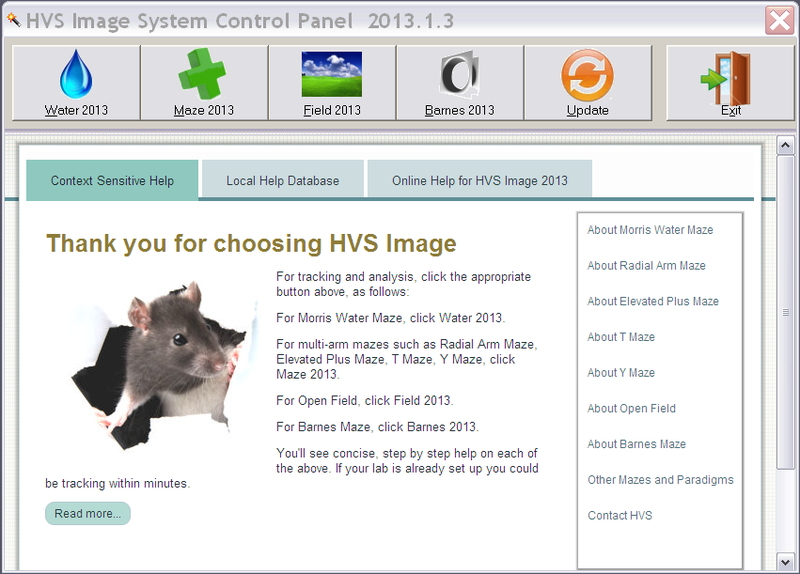 We've got the latest screenshots through from the new Morris Water Maze software from HVS Image. The big visible change here is the big, context sensitive help which is said to operate in both both on-line and off-line modes. The system now comes as software only and we are told it runs on any windows PC using normal generic web cams and an off the shelf active extension cable allowing the PC to be up to 12 meters from the camera. More soon on this new video tracking software.